As a professional business we measure our marketing activity and where our new business comes from. We are absolutely delighted to report that referrals from our existing clients is jointly the number one source that helps us grow our business. The other best source of new business is from internet searches and our website. At Four Oaks we put quality first. All of our Financial Advisers are qualified to give appropriate advice and all must keep their knowledge up to date. We encourage our clients to contact their adviser if they have a question, there is no need to wait for the next scheduled meeting! We are investing in training, a new telephone system and software to further enhance our clients’ journey with us. Thank you to all our clients who have passed our details on to friends and loved ones. 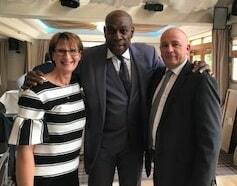 When we heard that Frank Bruno was appearing at a sporting-lunch at the golf club that is just around the corner from our offices in Shenstone, near Lichfield we just had to be there. As a thank you to our team, clients and other guests for their continued support, 20 of us went along to the lunch. After a sumptuous three course meal, Frank Bruno and comedian Jed Stone took to the stage. Rather than Frank Bruno delivering a talk to the audience Jed interviewed him, asking him about his personal and professional life. Frank was very open and talked about his background, family and how he got into boxing. The audience was also able to ask questions and this led to Frank talking about Mike Tyson, Lennox Lewis and how he had accomplished so much, at such a young age. Frank Bruno came across as a genuinely kind person, who is happy to share his life experiences. Well done to everyone at Aston Wood who made this such a great event. Sam Harley has joined our in-house team of Paraplanners in the role of Paraplanning Support. This important role provides help and support to the Paraplanners and indirectly to our team of Financial Advisers who provide local financial advice in the Sutton Coldfield, Lichfield and Tamworth area. As Paraplanning Support Sam prepares review packs for our clients, obtains up to date valuations from providers of financial products, he works with our Client Support team on mortgage submissions and he assists our Senior Paraplanners by generating the analysis they need to create reports that ensure everything we do is fully compliant with financial services rules and regulations. Previously Sam worked in HR in industry but with a degree in economics from Nottingham Trent University he believes he is now playing to his strengths and is looking forward to a career in financial services. In his spare time Sam is a member of a band playing British indie rock and enjoys going to festivals and concerts. A very warm welcome to the team Sam! 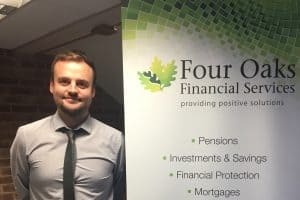 David began his studies whilst at Lloyds Bank but over the past 12 months he has studied and passed all the examinations required at an accelerated pace to become a fully qualified financial adviser and he has been very grateful of the support of Four Oaks MD, Martin Ward. David is now working towards achieving Chartered Financial Planner status and he very much wants to keep his studying momentum going. 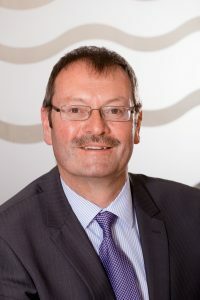 So much so that he is going to put together a study group with other local financial advisers at Four Oaks who are also working towards Chartered status. Kimberley Malin has returned from maternity leave and has resumed her position as the Head of our Client Support Team. In the past nine months Kimberley has got married and is also the proud mum of baby Noah! During her maternity leave Kimberley has been kept in the loop on developments both at Four Oaks and in the financial services sector as a whole. This has enabled her to transition smoothly back into her important role. She has quickly gotten up to speed with updates in processes and changes that occur especially as the new tax year begins on rules. Whilst Kimberley was away Emily Walker stood in managing the team workload and queries. She also helped to recruit two new team members and get them settled in, up and running. A huge thank you to Emily for all her hard work, and welcome back Kimberley! With a law degree from Sheffield Hallam University we are delighted to welcome Charlotte Trueman to our Client Support Team. In her previous employment Charlotte was a manager at an insurance company with thirteen years’ experience but decided she wanted a change in career. Her ambition is to become a fully qualified Financial Adviser and she has already begun studying for her first qualification. Charlotte is part of our in-house study group and is currently studying for her financial protection qualification. This involves learning about much more than simply financial insurance products and includes modules that cover inheritance tax and state benefits. In the Client Support Team, Charlotte assists our Financial Advisers who specialise in giving local financial advice to private clients and businesses in the Tamworth, Lichfield and Sutton Coldfield area. Day to day tasks involve making sure that all the processes are adhered to before cases can go into our in-house research team (Paraplanning) and inputting applications for our clients to financial product providers. Outside of work Charlotte is married with two children. She enjoys running and has been around the world not once but twice, with Australia, New Zealand and Thailand her favourite travel destinations. Welcome to the Four Oaks team, Charlotte! Will you be giving your wealth to the tax man when you die? A common Inheritance Tax myth is that only very wealthy individuals will ever pay this. 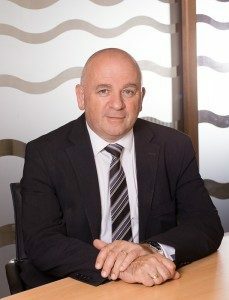 Unfortunately, owing to high property prices many more people are finding that their loved ones will be handing over money to the tax man when they die in the form of Inheritance Tax. But the good news is you can do something about this. The old adage that the only things you can be sure of is death and taxes is still correct, but you can reduce the amount of inheritance tax your estate is liable to pay if you do some effective Estate Planning and get some local financial advice. In some instances it may even be possible to completely eliminate the prospect of an IHT tax bill. There are a number of options your Adviser will discuss with you and more details are on our Estate Planning page, but the main thing is to do some positive planning and make sure that more of your wealth goes to your loved ones and the good causes you support rather than HMRC. Talk to your Adviser about Estate Planning. Estate Planning is not regulated by the FCA. Tax treatment depends on individual circumstances. Tax treatment, rates and allowance are subject to change.